Bernardino Baldi (1553-1617), a celebrated Italian polymath, is known to have written a treatise on sun dials and timekeeping. However, this treatise was never published and, since 1783, it has been considered lost. Now we are happy to announce that it has been recently acquired by the History of Science Collections, digitized in high resolution, and made available for study in the Collections’ Online Galleries. As you probably know, almost the entire scientific community still thinks that the manuscript of the Novae gnomonices libri quinque is lost. You have one of the most wanted of Baldi’s writings. In the next weeks and years everyone interested in Baldi and in the Albani Collection will put the Library of the University of Oklahoma on his personal map of the most important libraries in the world. Congratulations! And my colleagues will soon discover that the importance of your Library is not only dependent on this missing jewel. Novae Gnomonices Libri Quinque (1590-92). Guastalla, 26 April 1592. Manuscript written on paper in ink in a cursive hand, c. 30 lines per page. Small folio [28 x 18.5 cm](183) ff., including c. 250 geometrical diagrams and more finished drawings of instruments. The first 6 leaves are a self-contained quire on the theory of the sphere tipped-in; it is unclear whether they are integral or not. Bound in 18th-century quarter calf and paper boards stained red, with raised bands on spine gilt with alternating star and honeycomb (?) tools. Spine of binding wormed. Several paste-on cancels, numerous ratures with interlinear or marginal corrections in the same hand. Some minor water staining in gutter of scattered leaves; some inconsequential foxing on a few others. Generally a fresh, unsophisticated copy. Important unpublished autograph manuscript on dialing, evidently unique and extensively illustrated. A long-lost treatise that provides, for the first time, incontrovertible evidence of Baldi’s considerable mathematical proficiency, hitherto inferred mainly from his Lives of the Mathematicians and commentary on Aristotle’s Mechanica. 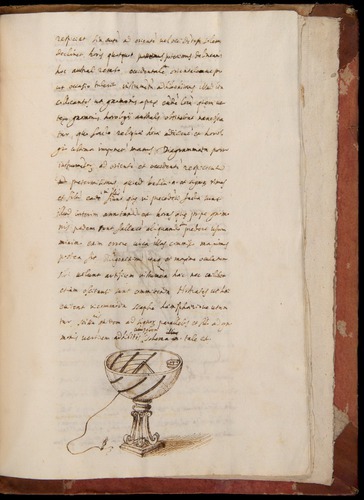 Rose refers to the present manuscript as one of only two original mathematical works by Baldi — in distinction to his translations or his famous history of mathematics. Writing in 1975, Rose considered both manuscripts “lost” (Italian Renaissance of Mathematics, p. 245 & n. 25). 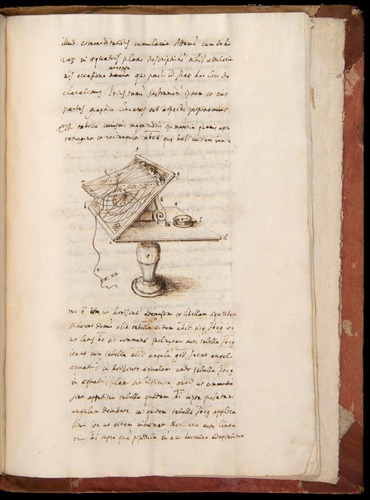 The only reference he gives for the manuscript is its listing in Ireneo Affò’s life of Baldi, where the latter claims to have seen it (Vita di Monsignore Bernardino Baldi da Urbino, primo Abate di Guastalla, nella Vita e nella Opere. Parma, 1783, pp. 196, 203). Rose was an extremely thorough scholar, and his mastery of the literature on 16th-century mathematicians from their own time until the date he published his work was exemplary. Given the absence of any record of the manuscript since Affò, we infer that no one has seen the present manuscript since 1783. 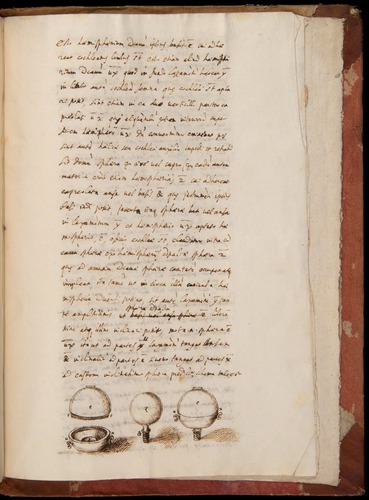 Its rediscovery offers an important new document for our knowledge of Italian mathematics and precision instruments during the first third of Galileo’s career. Baldi acquired his knowledge of mathematics and mechanics during the 1570s through private study in his native town of Urbino with Federico Commandino and, following the latter’s death in 1575, with Guidobaldo del Monte [the History of Science Collections hold important works by both Commandino and Guidobaldo del Monte]. It was probably owing to del Monte’s recommendation that Baldi was appointed in 1580 mathematics tutor to Ferrando Gonzaga, lord of Guastalla, who rewarded Baldi six years later with the abbacy of Guastalla. However, Baldi’s determination to assert the ecclesiastical rights of the abbey embroiled him in bitter controversy with the magistrate and inhabitants of Guastalla — at one point Baldi even excommunicated the entire town! —thereby souring Baldi’s relations with Gonzaga himself. He ultimately resigned in 1592. Against such a volatile backdrop the composition of the Novae Gnomonices took place. Baldi may have been a reluctant cleric. He took holy orders only shortly before he was made an abbot in 1586, and it appears that his scholarly temper was somewhat at odds with a priestly station. Be this as it may, the half decade preceding his resignation was perhaps the most productive of his career, in no small part owing to his determined effort to attract new patrons via his writings. In addition to composing a considerable number of the mathematicians’ Lives, Baldi published in 1589 an Italian translation of Hero of Alexandria’s Automata, which he dedicated to the Venetian Jacomo Contarini — a renowned devotee of practical and theoretical mathematics — in a bid for patronage and support. The following year Baldi gathered together his more literary efforts and published them as Versi e Prose. The Gnomonices came next. As was his custom, Baldi dated each of the five books upon completion, allowing us to follow his progress: Book I is dated 20 January 1590; Book II was ready on 2 February; Book III on 22 February; and Book IV on 5 October. The fifth book took longer and was completed on 26 April 1592. 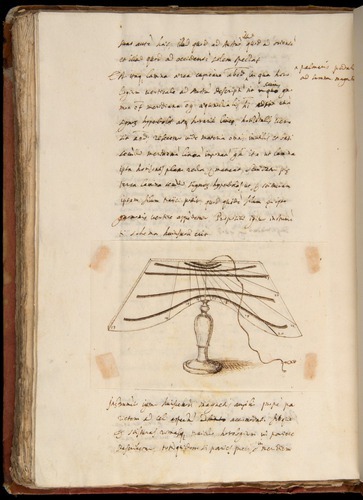 The manuscript is dedicated to Francesco Maria della Rovere II , Duke of Urbino (1548-1631), who in 1626 would consign the duchy he had governed for half a century to Pope Urban VIII . Also a student of Commandino, Francesco Maria developed a strong passion for the mathematical sciences, and to practical mathematics in particular, becoming one of the most important patrons of Italian science in the second half of the sixteenth century. Among the books dedicated to him were Commandino’s celebrated translation of Euclid’s Elementorum libri XV (1572), Francisco Maurolico’s Opuscula mathematica (1575), and Guidobaldo del Monte’s Liber mechanicorum (1577). Later, he befriended Galileo . Such interests, along with the mutual ties to Urbino and to Commandino, made the duke a natural recipient of Baldi’s treatise. The gambit paid off, if not immediately. By 1601 Baldi had become historiographer to the duke, a position he held until his death. The manuscript throws considerable light on Baldi’s mathematical prowess. By 1590 the post-medieval tradition of treatises on dialing was six decades old. Initiated in Germany with Sebastian Münster’s predominantly practical manual Composito Horologiorum (1531) — devoid of any mathematical proofs for the constructions — it gathered strength with the far more considerable Gnomonice of Andreas Schöner (1562). In Italy, the lead was taken by Giovanni Battista Vimercato, whose Dialogo della Descrittione Teorica et Pratica de gli Horologi Solari enjoyed at least nine editions between 1557-1587. Commandino himself enriched the genre with his 1562 edition of a medieval Latin translation of Ptolemy’s Analemma, to which he appended his own Liber de Horologiorum descriptione. 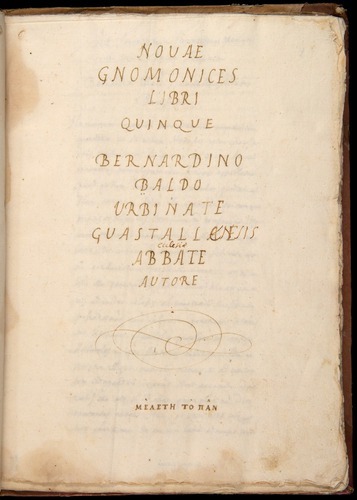 Twelve years later, Giovan Battista Benedetti published the far more technical De Gnomonum umbrarumq[ue] solarium usu liber, which attempted to offer a universal method for dialing. Finally, in 1581 there appeared the ultimate word on the subject, Christoph Clavius’s mammoth folio volume Gnomonices libri octo, which offered a comprehensive survey of the construction and use of virtually every known dial, complete with mathematical demonstrations [OU Clavius holdings]. Baldi acknowledged Clavius in his dedication, and aimed to offer a more intelligible — not comprehensive — treatment of the subject. Also flaunted in the dedication was the same purposefulness that had animated much of the scientific work of Commandino and Baldi himself, namely the restitution of the mathematical sciences to their previous glory, and in this case with the science of dialing. The text itself includes a systematic treatment of the theory and practice of dialing, from the determination of meridian lines to the principles of projection onto any plane. 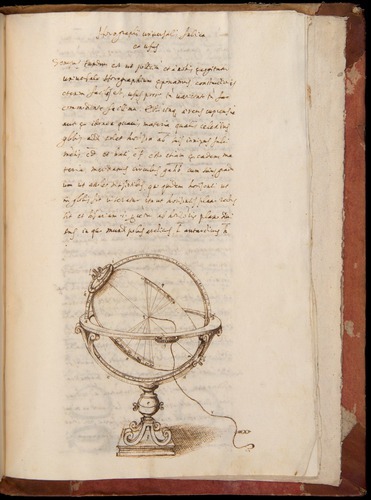 Baldi’s treatise provides ample testimony of his full mastery of the principles of construction and demonstration of most sundials. He treats both altitude and direction dials, explicating the mathematical principles underlying construction on flat and curved surfaces, and parades the design (in Book V) of fine equinoctial and universal dials. Baldi exhibits good command of conic sections as well as graphic projection, and the numerous expertly drawn diagrams that accompany the text substantiate contemporary accounts that it was he who supplied the diagrams for all of Commandino’s later works. Only a detailed study of the Novae Gnomonices, including a close comparison with Clavius’ Gnomonices, will establish the precise contribution of Baldi to dialing. 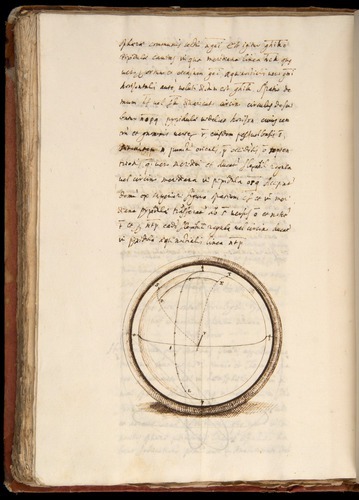 What cannot be doubted is that the manuscript is a significant mathematical treatise by one of the more distinguished practitioners of Italian renaissance mathematics. A. J. Turner, “Sun-dials: History and Classifications,” History of Science 27 (1989), 303-18 (both reprinted in A. J. Turner, On Time and Measurement: Studies in the History of Horology and Fine Technology (Aldershot,1993). John L. Heilbron, The Sun in the Church: Cathedrals as Solar Observatories (Harvard University Press, 2001). 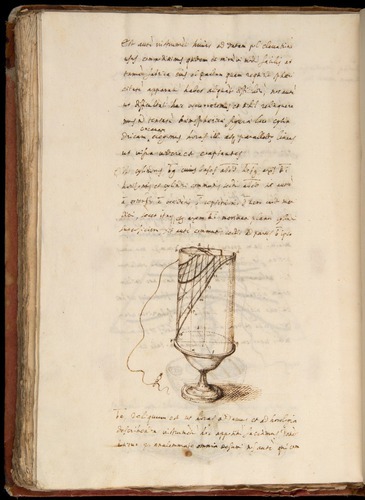 View the entire manuscript: Bernardino Baldi, Novae Gnomonices, in the Collections’ Online Galleries.